dr hab. n. med. Agnieszka Kołacińska, prof. nadzw. Moustapha Hamdi graduated in 1990 at the University of Damascus Syria as a doctor of medicine, surgery and obstetrics. He moved to Belgium and did an internship in general and plastic surgery at the various hospitals of the Université Libre de Bruxelles (ULB). Then he was part of the academic staff of the Hospital in Glasgow Canniesburn engaged in microsurgery and breast reconstruction between 1996-1997. 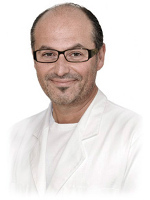 Between 1999 and 2011, Professor Hamdi was one of staff members of the Plastic Surgery Department in Gent University Hospital where he also presented his doctoral thesis for pedicled Flaps in Breast Surgery: a new concept. Since 1 April 2011, Moustapha Hamdi worked as a department head in the department of plastic surgery of the Brussels University Hospital. More recently, since 2007, he is also attached to the Medical Institute Edith Cavell in Brussels. Dr. Barnea is a specialist in plastic surgery and the head of the Breast-Unit at the Tel-Aviv Medical Center in Israel. He is the secretary of the Israel society of plastic and aesthetic surgery. He is a graduate of the Tel-Aviv University medical school and served in the military as chief physician of the airborne-infantry brigade and commander of the medical officers' course in the military school of medicine. He completed his residency and specialization in plastic surgery at the Tel- Aviv Medical Center, followed by a fellowship in microsurgical-oncological reconstruction at MD Anderson medical-center, in Houston, Texas. There he developed a specialization in aesthetic and reconstructive surgery of the breast, including microvascular breast reconstruction. He has also completed a master degree in plastic surgery. Currently Dr. Barnea performs various types of breast surgeries, both aesthetic and reconstructive and works in the breast health-center, as part of the multidisciplinary breast team. He has already published both clinical- research and basic-science papers on these subjects. Dr. Barnea also volunteers for the Israel-Cancer-Association and serves on the board of „Bracha Foundation”, a non-profit organization for BRCA-gene-mutation carriers. 1990 Medical Degree from the University of Copenhagen. Since 1994 member of the Danish Surgical Society and since 1995 member of the Danish Society for Plastic & Reconstruction Surgery. Specialist Training conducted at the Danish plastic/reconstruction/burn surgery centers including University Hospital of Copenhagen (RH), Hvidovre (KKHH) Odense (OUH), Roskilde (RAS) and Vejle. Last employment in government auspices were as consultant at Plastic Surgery department at the Helsingor Hospital 2006. Parallel work with patients on "waiting lists projects” in Norway and Sweden. Has always had a particular interest in the cosmetic/aesthetic side of plastic surgery with an active participation in international conferences, courses and workshops. Between 2008 and 2009 was employed as a consultant specialist at Akademikklinik AB in Sweden and Copenhagen And from 2009 as a consultat for Stureplansklinik AB in Sweden and Denmark. Since January 2000, work in own clinic, Ingves Clinic. w Amsterdamie, Uniwersytecie w Helsinkach, Liverpoolu, Instytucie Onkologii w Tokio, Klinice Mayo w Stanach Zjednoczonych oraz Uniwersytecie w Rio de Janeiro, laureatka konkursu ELLE i Heleny Rubinstein dla Kobiet Ambitnych i Twórczych, współautorka holistycznych programów odzyskiwania kobiecości u chorych na raka piersi po leczeniu onkologicznym (terapia tańcem, aktywnością fizyczną, sztuką). Absolwent Uniwersytetu Medycznego w Warszawie. W 2006 roku uzyskał specjalizację z chirurgii ogólnej. w Warszawie. Wygłasza wykłady dla lekarzy szkolących się w chirurgii ogólnej, urologii i chirurgii plastycznej. Przeprowadza mikrochirurgiczne operacje rekonstrukcyjne piersi. Wykonał drugą w Polsce udaną replantacje skalpu. w Szpitalu Akademickim w Leuven (Belgia) pod kierunkiem Profesora Jana Vranckx’a, zdobywając doświadczenie między innymi w mikrochirurgicznej rekonstrukcji piersi. Prowadzi prywatna praktykę lekarska przeprowadzając wszystkie operacje z zakresu chirurgii estetycznej.